Today’s selection is one of those records by a group that appears to have materialized exclusively in a studio and never ventured elsewhere. 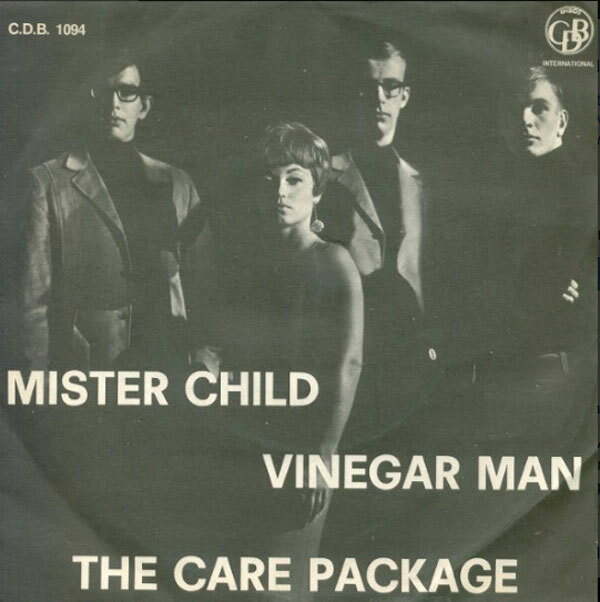 The Care Package recorded three 45s in 1966 and 1967, all under the auspices of one Tash Howard (aka Howard Tashman). Howard was also the man behind the Peels, writing the oft-covered novelty hit ‘Juanita Banana’ as well as the Northern Soul fave ‘Time Marches On’. I haven’t been able to figure out who was actually part of the Care Package, so I have no idea if Howard just wrote/produced the record or actually sang in the group as well (the picture above is from an Italian picture sleeve I found online). 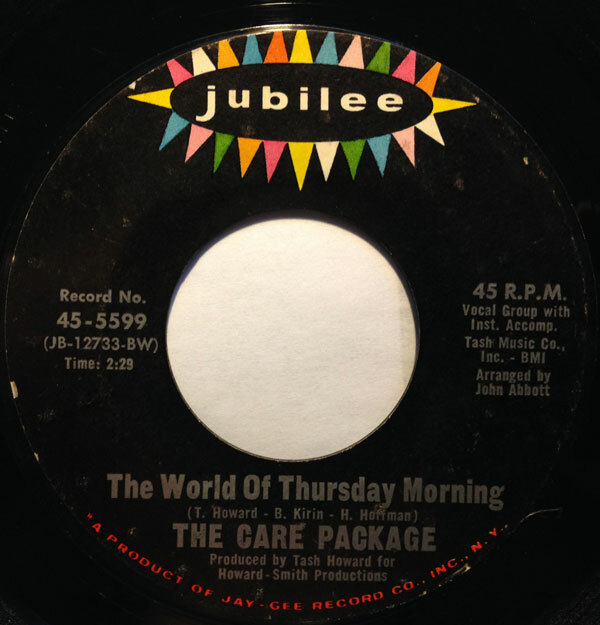 ‘The World of Thursday Morning’ exists at the intersection of the Mamas and Papas, Spanky and Our Gang and the New Seekers, leaning in the direction of a kind of mainstream harmony pop/folk rock, with a “clean” enough sound that one might think they were aiming at the straighter end of the pop spectrum. The record is nicely arranged, with some groovy chord changes and cool group harmonies. Interestingly, the song was covered in the early 70s the UK by a group called the Settlers. If you look at the collective discographies of the song’s writers, Howard, Henry Hoffman, and Bob Kirin you see a lot of middle of road (i.e. decidedly un-hip) pop, which is not to damn the sounds (which are fine) but rather to separate them from the rock-ier side of things. What little information I’ve been able to find about Tash Howard indicates that he passed away fairly young. If anyone has any additional information about the Care Package or Tash Howard, please drop me a line in the comments. Cool post. I’ve looked into Howard myself as I’m a big Peels fan. Their album is hard to find but great fun and worth the effort.